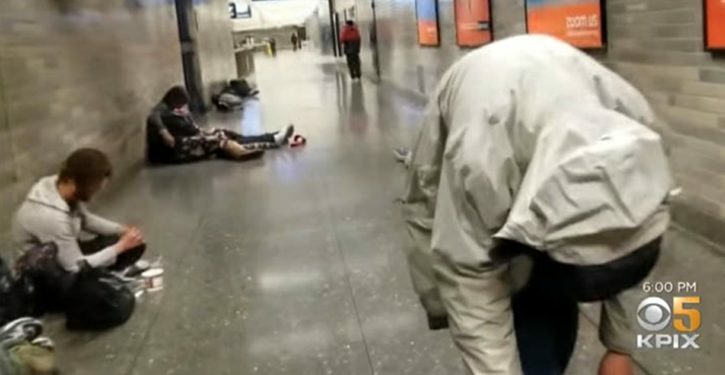 Wednesday a CBS affiliate in the city published video showing drug addicts shooting up in tunnels of the Bay Area Rapid Transit (BART) train system. The video wasn’t shot by the station but by a regular commuter who walks through it every day on his way to work. As you can see for yourself in the report below, this isn’t just one or two people on scattered mornings.